Lock in a great price for Okinawa Sora House – rated 8.1 by recent guests! Good location from Monorail & Kokusai Shopping street. It is my second time at sora house, so i think everyone gets the picture. I will definitely stay here everytime i go to okinawa. The staff was helpful and answered any questions I may have. They had a washing machine and dryer as well. The location was also great, less than 5 mins from a yui rail station, 25 mins from the airport via monorail and a 10 min walk or so from lots of shops and cafes along the popular Kokusai-dori. You can’t get a better deal for this price! Close to Monorail Miebashi Station. Not far from Kokusai Dori. Kind staff and give helpful advice. I stayed twice at this hostel which is located close to the ferry terminal (15min by walk) and also within 5min walking distance of a monorail station. 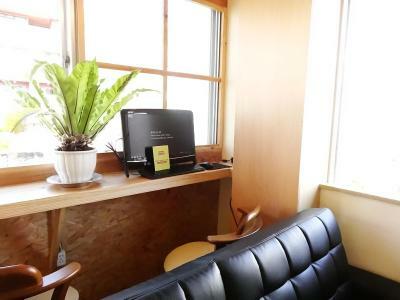 The common area is very good to meet other travelers and you can also cook there or use the fridge. The staff members provide very useful information to get around on Naha or if you want to visit one of the other islands nearby. The staff members were very friendly and helpful. They provided all information about the ferry departures and interesting sightseeing spots around Naha. I could leave my luggage at the property for free after checkout. The common are provides all necessary things if you want to cook by yourself. Also it is a good place to meet other travelers there. Super Clean place with kind staffs,only 5mins walk from Miebashi Station. The common area was very clean and inviting. 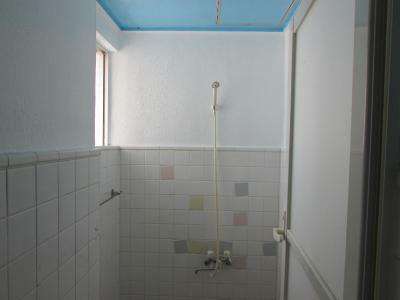 The shower rooms were clean and our room was as well. We had a private room with two twin beds and since we were only there for less than 24 hours it was perfect for our stay. The guest house is only a 10 min walk to International street and is very quiet at night. Okinawa Sora House This rating is a reflection of how the property compares to the industry standard when it comes to price, facilities and services available. It's based on a self-evaluation by the property. Use this rating to help choose your stay! Just 350 feet from Miebashi Monorail Station and a 5-minute walk to Naha’s Kokusai Street, Okinawa Sora House offers value-for-money accommodations with free WiFi and a free-use full equipped kitchen. Rooms at Sora House Okinawa feature bunk beds and shared toilets and showers. Shampoo, conditioner and soap are provided, as are hairdryers. A coin-operated washing machine is available for guests’ use. Tea bags and instant coffee are provided free of charge. Baggage storage is offered. Tomarifuto Passenger Ferry Port is just a 10-minute walk from Sora House. Naha Airport is a 15-minute train ride from nearby Miebashi Station. A 24-hour supermarket and many restaurants are located within a 10-minute walk from the hotel. This is our guests' favorite part of Naha, according to independent reviews. This property also has one of the top-rated locations in Naha! Guests are happier about it compared to other properties in the area. 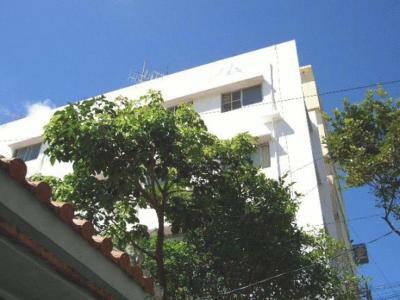 뀐 Located in the real heart of Naha, this property has an excellent location score of 8.8! When would you like to stay at Okinawa Sora House? Price includes 1 bunk in a room with multiple bunk beds. This room accommodates up to 6 guests. This twin room comes with 1 bunk bed. Bathrooms and toilets are shared. 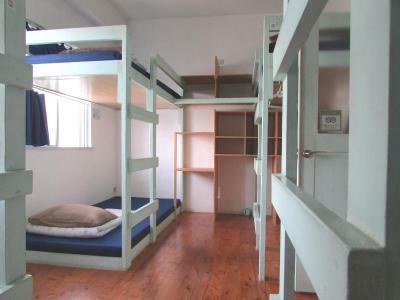 This single room offers 1 bunk bed for single use. Bathrooms and toilets are shared. Women only. Sleeping compartment that offers more privacy than a bunk bed, provided with storage space, an electrical socket and a curtain in the doorway. Capsules are stacked side-by-side in 2 rows, in a common room. Luggage can be stored in lockers. House Rules Okinawa Sora House takes special requests – add in the next step! Please note that there are no elevators at this property. The reception is on the 3rd story. Please inform Okinawa Sora House of your expected arrival time in advance. You can use the Special Requests box when booking, or contact the property directly using the contact details in your confirmation. 1. There is no elevator. Strongly advised not for disabled people (wheelchair, etc) or/and if you have heavy bag/suitcase. The reception on the 3rd floor, the rooms is on the 2nd, 3rd, 4th floor. 2. The shower rooms is limited. SO easy to get to from the monorail, and close enough walk to kokusai doori and bus station. I booked it solely for the roof top access! I ate breakfast up there. The rooms are a little outdated, but that wasn't a problem. Great common area for cooking and chatting with people. Being able to use the public space after checkout would be nice, but I understand that they need time to clean and prepare. The hostel was clean and inviting with lots of natural light. The shared space was very comfortable. 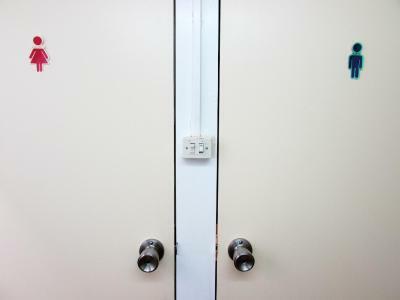 The capsule room gave you privacy which I liked. It is right next to Miebashi Station, so it is very convenient to get to and from the airport, and to go to the shopping street and Public Market. Just be aware that (technically) you are not supposed to use the shared space before or after you check out. It was convenient to leave my bag though, so I could walk around before going to the airport in the afternoon. There are lots of great food options close by too. Wish the whole common area was more open so that it was easier to meet other people in the hostel. Could be a little cleaner. Very convenient location. Decent price for everything advertized. Not enough showers for the amount of guests. Nice staff and wonderful living room area. Booked a private room - nice individual space but pillow is too soft for good head support. Good location! - Less than 5mins walk to Miebashi monorail station, small supermarket, izakaya, gyoza eatery. 20mins walk to Tomari iyumachi fish market. shower room is not enough. The bed room is big, good for two people. The bathroom door had a rubber strip on it to minimise the sound of the door closing. It was a shame that all other doors didn't have the same as the noise really carries here. Also allowing use of hairdryer till midnight is rather later. Stayed two nights with early starts on both days and was awoken by hair dryer both nights. Bit annoying. Super convenient location for access to airport, ferry port and central naha. It's well located, safe and clean. Need to climb stairs but we weren't informed in advanced. Location is near train station and shopping and food street. Good location. Easy access to nearby station. Easy to use a room. Zero privacy. No curtains in the beds so everything is exposed. 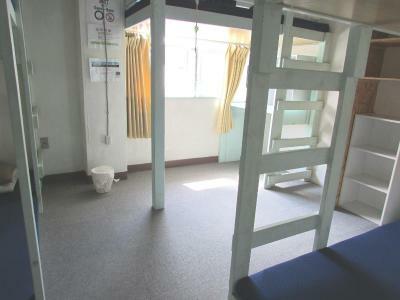 Of the three hostels I stayed at in Naha this one was my least favorite. I understand that dorm style lacks some privacy but give me a curtain so I could feel somewhat relaxed.